Dynamic leaders in Metro Denver who leverage the power of their networks for positive change. Become a leader in our community. Leadership donors are a group of dedicated individuals who love where they live and want to make a difference in the lives of those who need it most in Metro Denver. “I give because I care about improving the lives of others. Supporting those in need is the backbone of a strong community." "It is my heartfelt desire for every child in our community - regardless of socio-economic background - to get the support they need so they can realize their own potential." Connections with like-minded community leaders who have a passion for driving social impact. Exclusive invitations to networking opportunities with Mile High United Way Board and leadership. 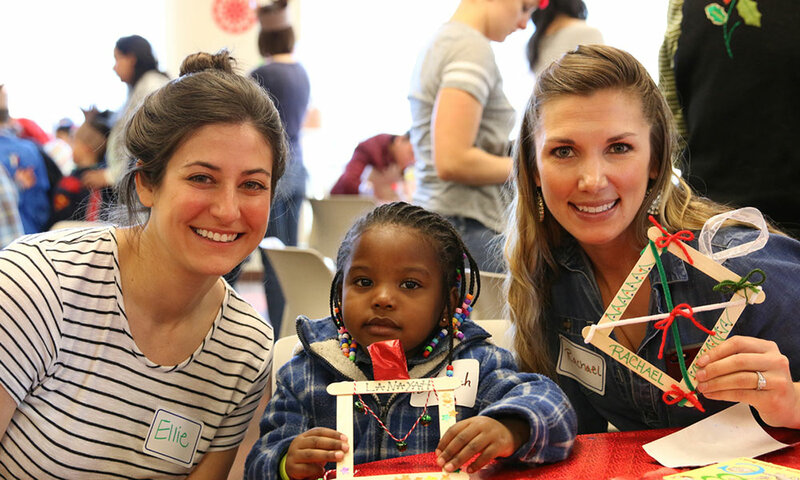 Volunteer engagement opportunities that make a lasting impact on children and families in our community. Membership is open to donors who invest $1,000 or more annually to Mile High United Way through your workplace campaign or through our Donate page. Gifts can be made by check, personal giving account, planned giving, stock transfer, or qualified IRA charitable distribution. 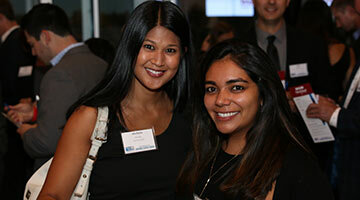 An exclusive event for Leadership Donors to meet and network with board members, some of the most prominent community and business leaders in Metro Denver. 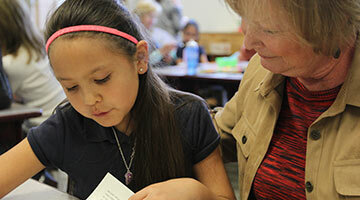 Each school year, Leadership donors volunteer their time to read with second-grade students, enhancing their love for literacy. 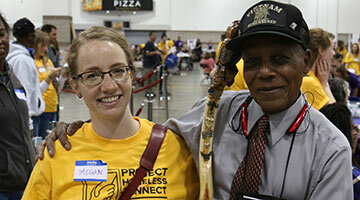 At Project Homeless Connect, volunteers help guests access an array of services aimed to help keep them safe and off the streets.